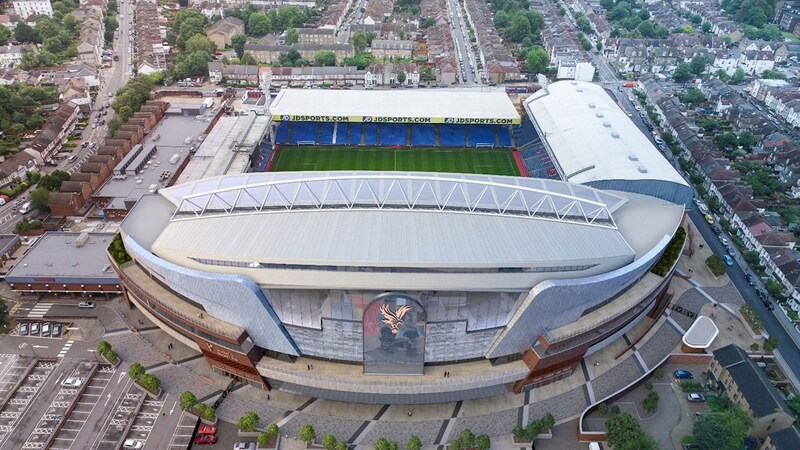 New western main grandstand of Selhurst Park is expected to aid Crystal Palace in becoming one of England's biggest clubs, both by increasing ticket availability and boosting the club's commercial potential. 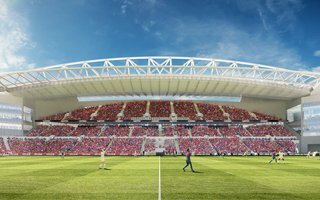 Expected annual revenue from the structure should be around £15 million, which means the project would pay for itself in 5-7 years. 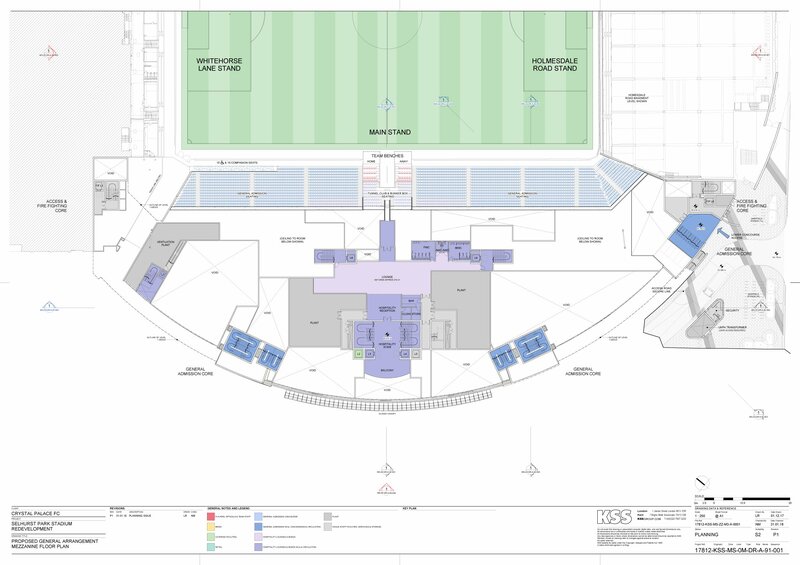 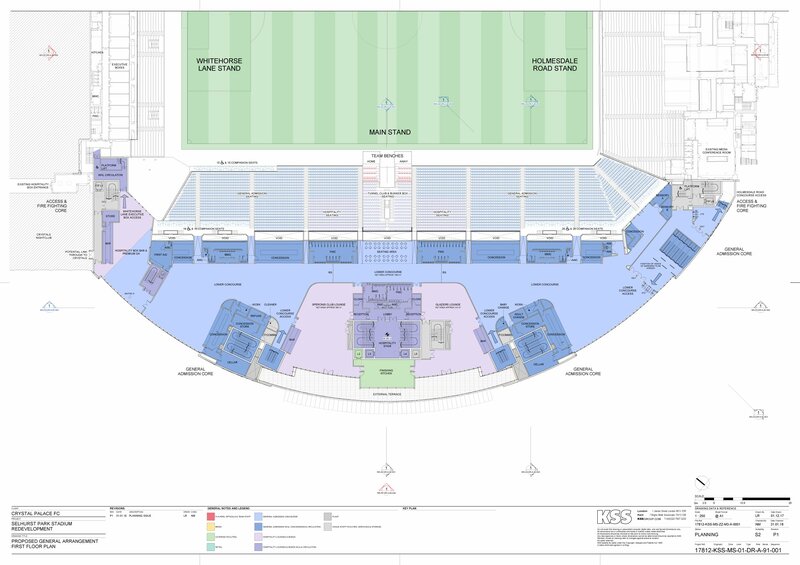 Capacity-wise, the stand will grow from previous 5,400 to 13,500 and vast majority of the seats will be general admission. 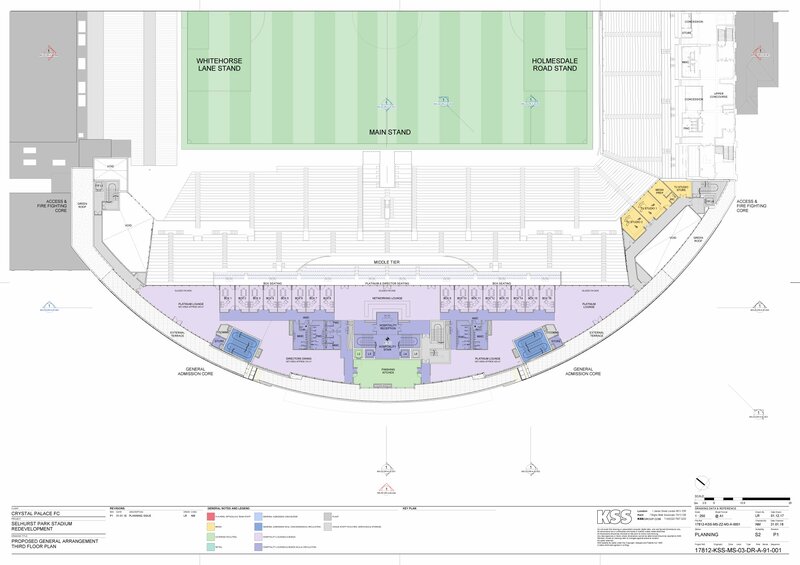 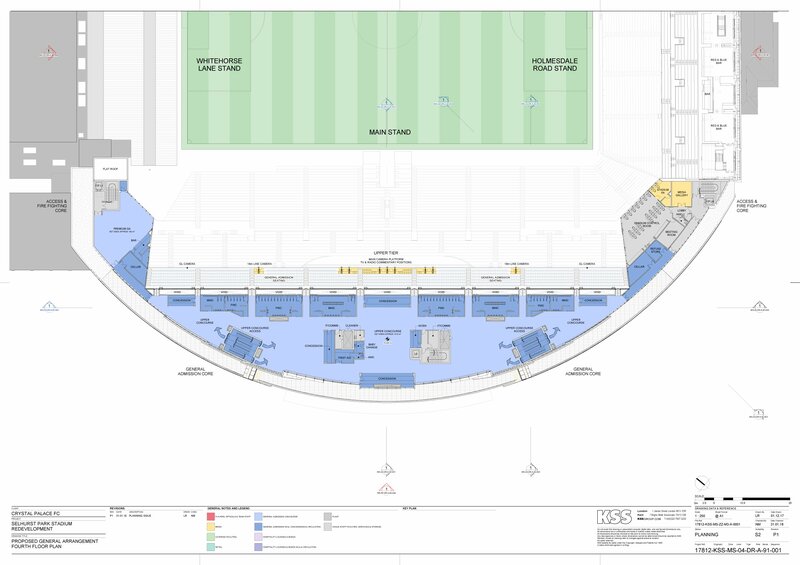 Only 2,500 business seats are planned, as well as 16-28 private boxes,including one of Europe's first 'tunnel clubs', offering guests a view of the players in the tunnel and mixed zone. 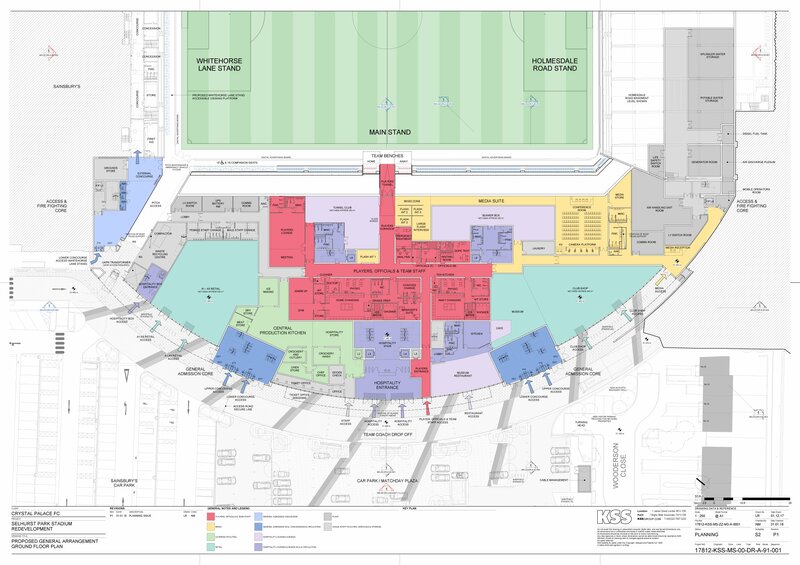 The 41-meter-tall structure will not require any of the surrounding buildings' demolition, though the stadium's blueprint will increase significantly. 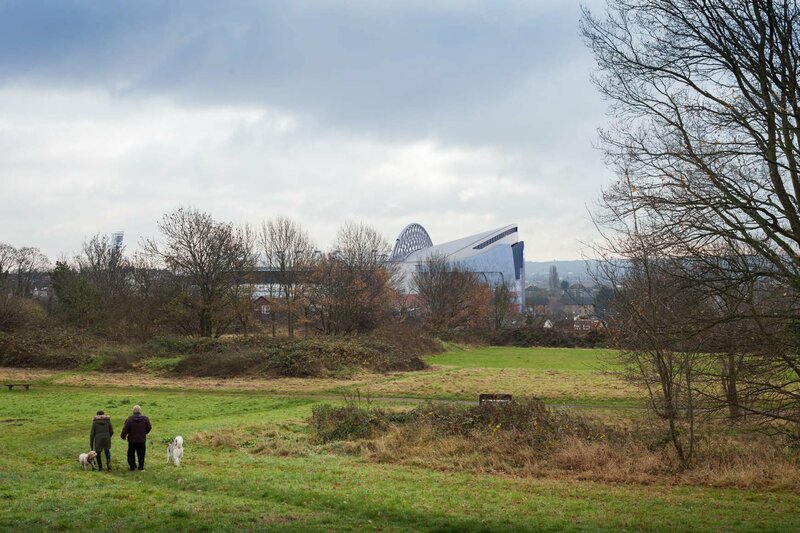 But more than its size, the architecture raised some eyebrows. 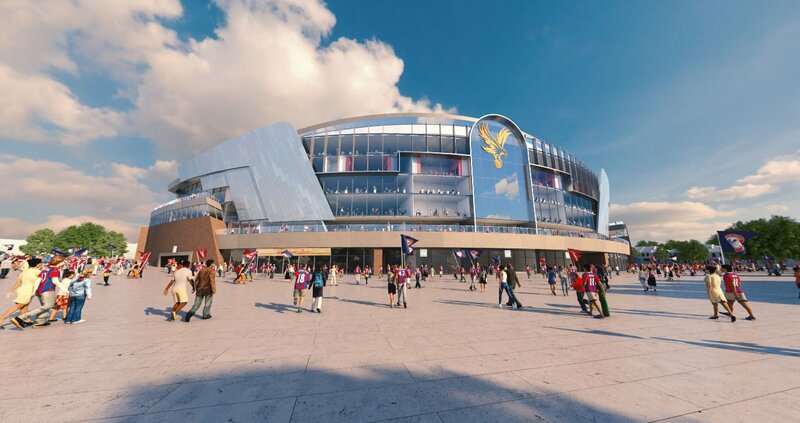 Though widely expected, it's still impressive that both the symbol of Crystal Palace pavilion of 1851 and eagle's wings are incorporated into the facade. 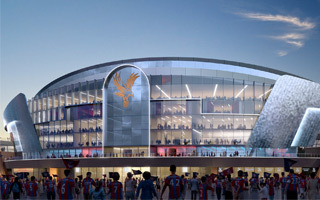 Croydon planists have given their approval and recommend planning permission for the Selhurst Park expansion scheme. 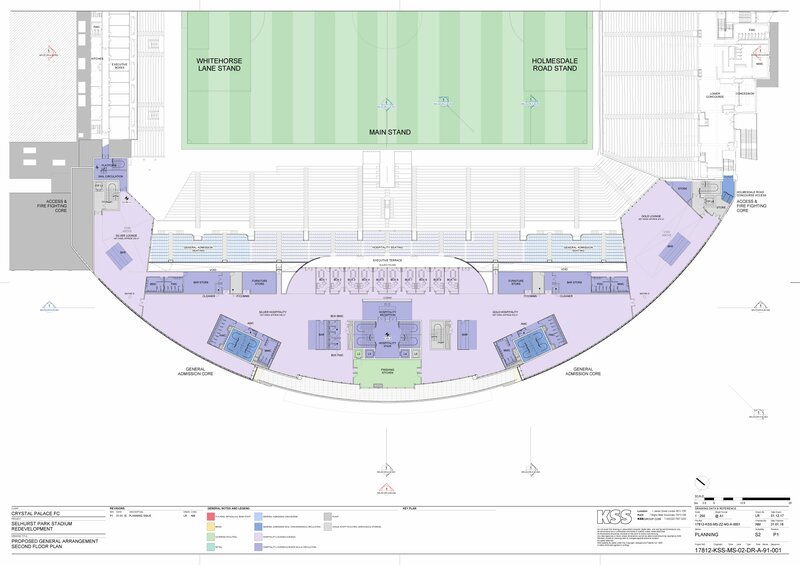 Now it's up to the council to agree in next week's vote. 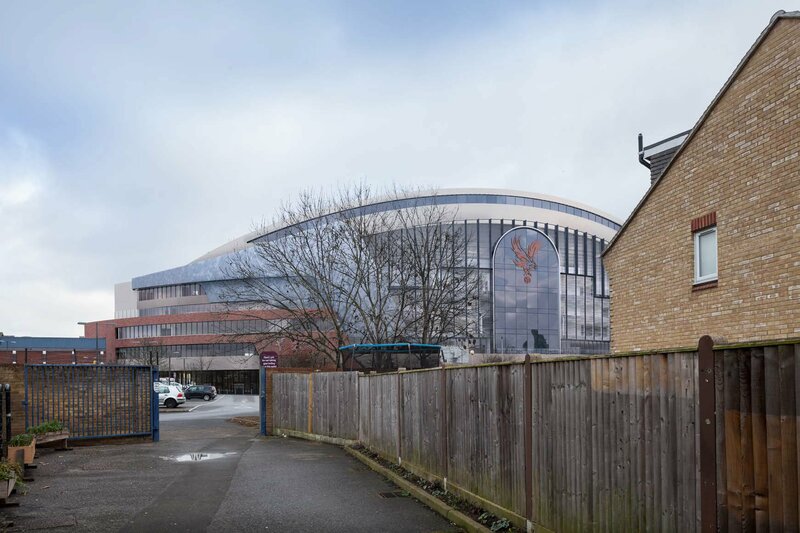 While generally supportive of the planned Selhurst Park expansion, newly-released report by the Croydon Planning Committee voices concerns over design, traffic and housing, among other issues. 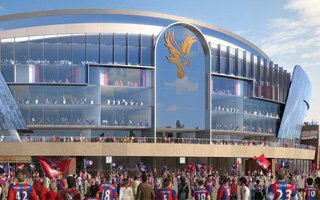 Crystal Palace and KSS Group can take them into account. 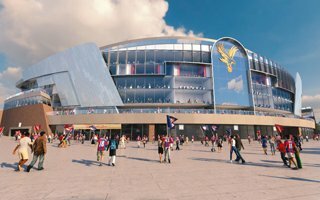 If Selhurst Park is to grow by over 8,000 seats, the Croydon football club needs to find replacement housing for 4 families and reach agreement with one more. 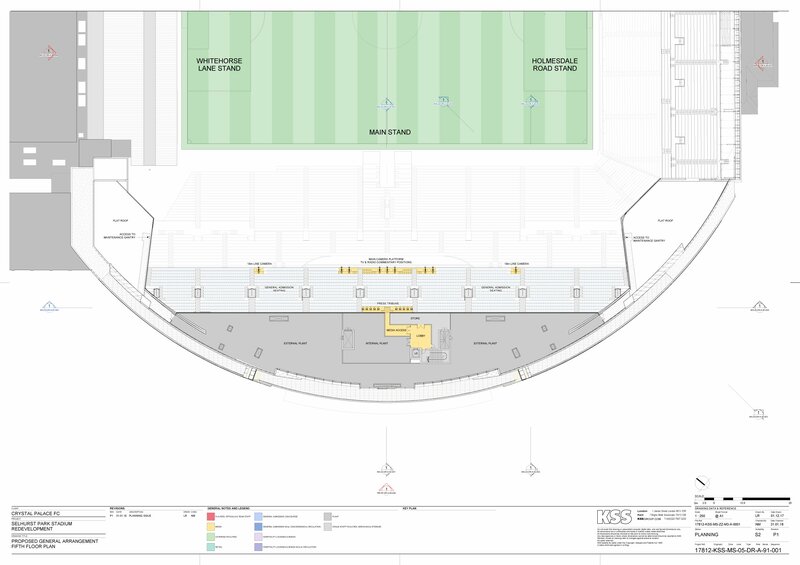 It's just the beginning of the planning process. 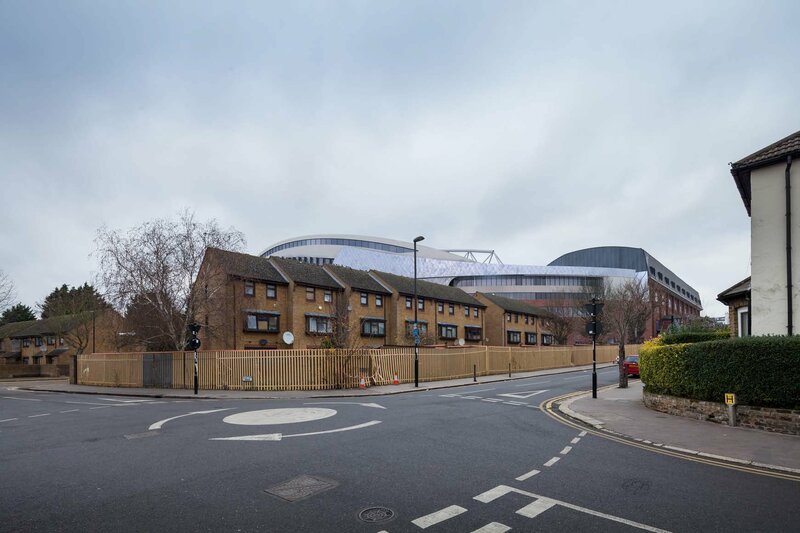 Everything's there: the eagle's wings and the Crystal Palace pavilion of 1851. But there's much more to this project. 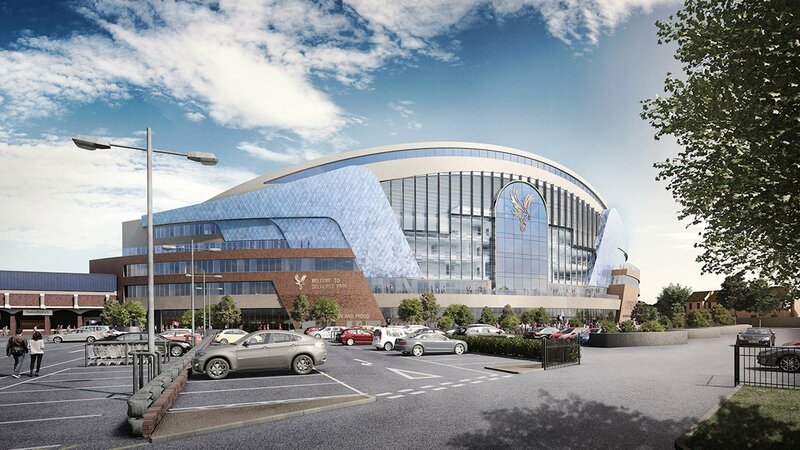 More money, most importantly, both to be spent and made in the future.